I must admit from the getgo , I am a “fast action rod” nut. Try as I might to like the older traditional cane & glass rods, I just love fast acting, quick recovery blanks. Having had the Stalker Master series in both 2 & 4 weights I was eager to check out Stalkers latest range — “The Glide series” Gavin from Hurleys Flyfishing was kind enough to supply both a 4 & 5 weight, but it is the 4 weight I wish to concentrate on here. Having just spent a very enjoyable few days in & around the Khancoban area, the Glide 4 weight got a reallygood work out. The rod comes in a solid tube, then all 5 (yes 5) sections are in a cloth bag.Gavin has been very clever here as all Stalker rods come with a second tip section. I have only broken a few rods & all have been the tip.The rod also comes with section aligning dots, this makes for quick assembly. The first thing I noted was how light the rod was compared to my other 4 weights.I strung it up with a standard weight forward 4 weight line, then added a stimulator & tungsten head nymph a few feet below. The river was pretty swift & I was amazed how quickly I was fishing. Couple of strips & punch the rig up into the current. Over the next couple of hours & a LOT of casting , I managed quite a few fish. This rod is just a pleasure to use. Very light & super quick with little or no fatigue . Later that evening , having taken the nymph off I saw a rise some 40 feet way . Couple of quick strips from the reel , one false cast & “fish on” . A lovely brown of well over two pounds.The Glide 4 weight delivered my fly effortlessly & then was able to handle a feisty brown in some quick water. For me , the Glide ticks all the boxes. Its very light , super fast & powerful. This rod is delicate enough to present small dries to sippers, but strong enough to fish tandem nymphs under an indicator in heavy water. The 5 weight too at 8ft 6 carries over all the benefits of the 4 weight & accounted for a 5 pound atlantic salmon with ease. The Glide range begins at 2 weight through to a 10ft 6weight plus a lifetime guarantee. Gavin has positioned this rod at the top end of his range, but at half the price of the name brands, he is not getting this one back any time soon. 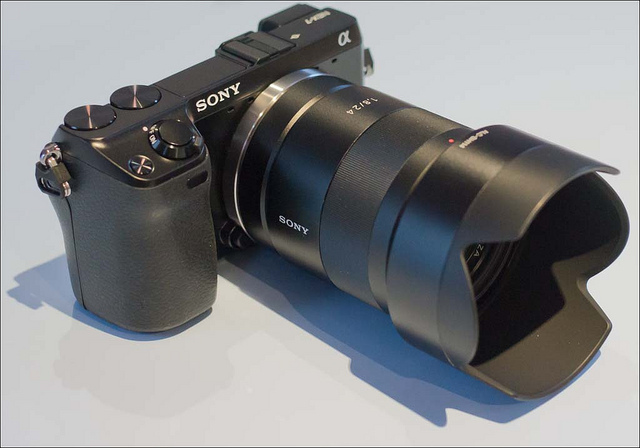 Over the past 12 months we have progressively introduced a new camera system based on SONY E MOUNT lenses. 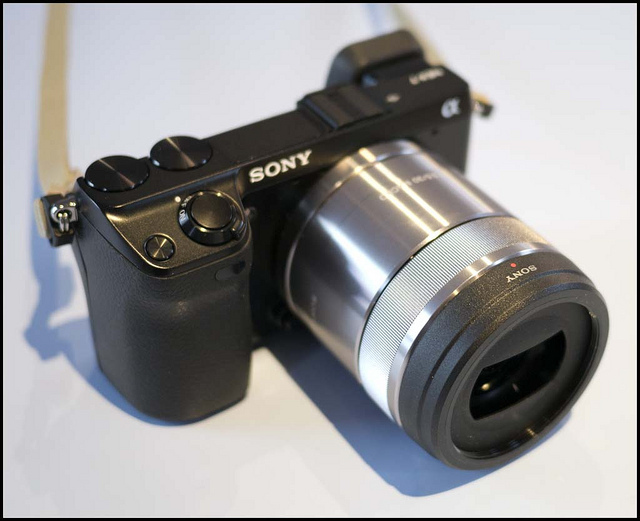 With this versatile system we utilise two camera bodies, a VG20 camcorder and NEX 7 mirrorless which both share the same APS C sensor and 6 interchangeable lenses. This system now provides us with great versatility and the creative potential of large image sensors, (1.5X crop factor) fully automatic or manual operation, ultra bright view finders and of course a range of great lenses. The prime lens is an 18 to 200mm f3.5 lens which covers most requirements, but for even closer work we have the amazing 10 to 18mm f4 lens or the fixed focal length 30mm f3.5 macro focusing lens which is capable of 1:1 imaging. We look forward to capturing some insect portraits during the coming season! 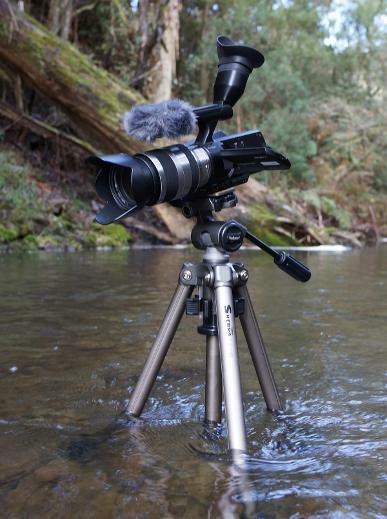 Other lens options available include the 16 to 50mm compacting power zoom which when coupled with the camcorder makes an extremely small package and can be carried easily in a backpack to the most inaccessible river gorge. 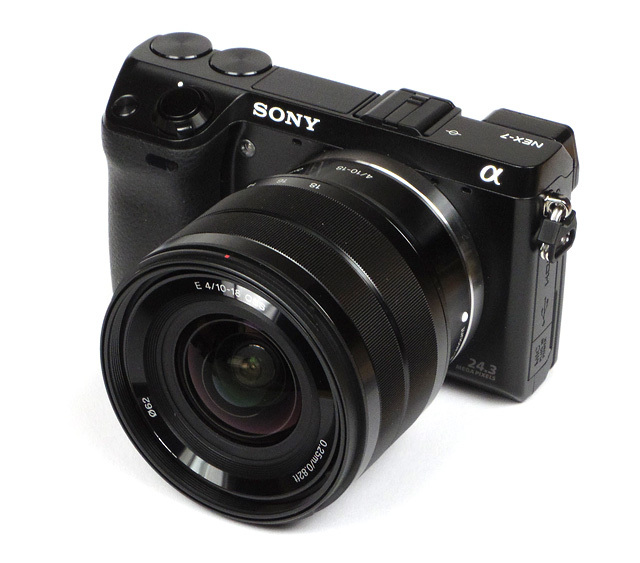 The superb Zeiss 24mm f1.8 & 18 -70mm f4 zoom rounds out our lens inventory. 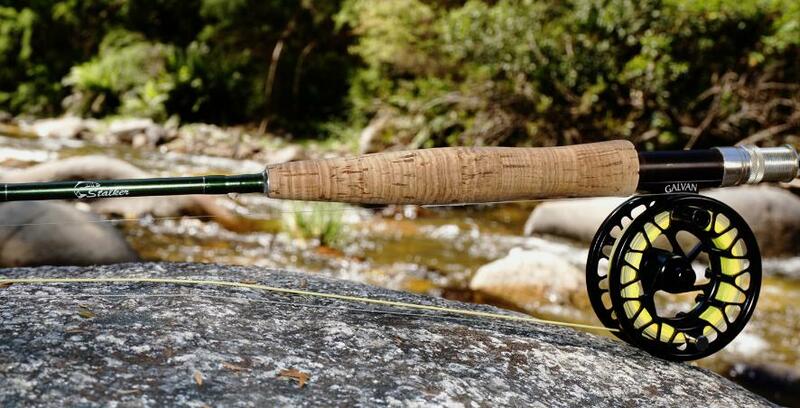 Our rod of choice for medium stream fishing in the high country is the..
Pro-Angler Stalker Master 4wt 7'9" rod. 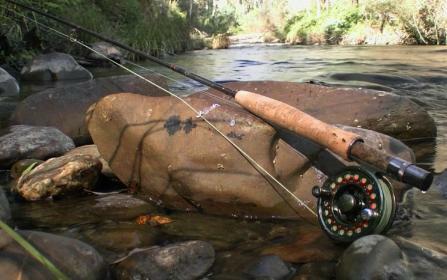 Tony: This 4 piece rod is easily used even in the close confines we experienced on the Ovens River, yet could comfortably cast a large dry with a beaded nymph dropper. 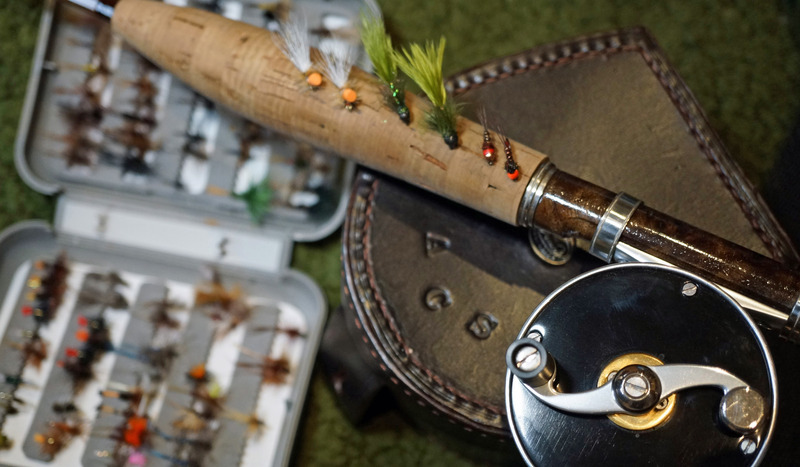 It's great fun with small browns and rainbows even in the faster riffles. Chris showed his experience while managing to control a larger 3lb rainbow which rose from a deeper pool to engulf one of his simulator patterns. Chris: I always thought shorter rods couldn't handle tungsten nymphs under dry, but the Stalker has no trouble turning the rig over! My friend Jim says- to get the nymph to go DEEP, It should almost enter the water in the "pike " position, so stopping the cast is the trick here & the nymph drops like a stone & then hopefully tracks the bottom. 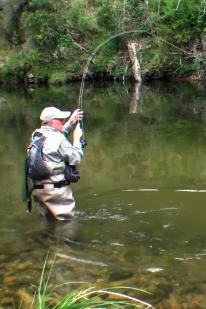 This is a very effective way to "search" the water as it seems irresistible to the trout. 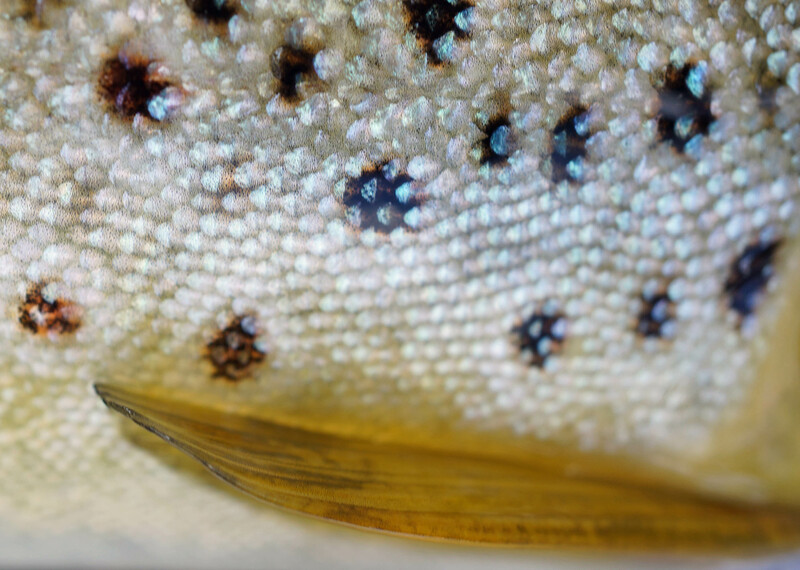 Light tackle is a joy to use & almost a necessity when trudging your way into remote streams. This rod seems to tick all the boxes!. I say twig rod & I mean twig rod. To me, a rod such as this equals small streams, tight spots & most definitely DRY flies - probably in the 14-20 range. However "this" 2 weight will cast a size 10 stimulator with ease! Based on the same modulus as the longer 4 weight in the Master range, I find this rod very forgiving & capable of some very reasonable fish, as I found out in the upper Swampy when a kilo plus rainbow took a size 18 black dun right on dark! Turned the rod inside out, but great fun - which is what our fishing is all about! I currently run a weight forward Sage (2wt) line, but I have a little trouble LOADING the rod at short distances - which is what twig fishing requires - so some testing with a cut down double taper might be the go! The rod is 4 piece, so as a (backpack) rod it's great & it is short enough not to get caught on everything when getting to the stream bed! Leader length is typically short, 7-8 ft long down to 3lbs tippet, but you will be surprised how often you will get well over half the flyline out on a flat pool, to that little sipper!! Our sort of fishing is FUN fishing, & this rod - whilst being efficient, is definitely a FUN rod! !